Go faster and further with a notebook or netbook memory upgrade from Crucial. 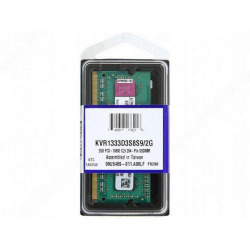 We've got quality SODIMM memory for mobile systems. And because a memory upgrade is one of the easiest, most affordable ways to improve system performance, it's the ideal solution for on the go users. If you count on your netbook or notebook, count on memory from Crucial. Crucial is a key brand in the Lexar Media family of products. So whether you're focused on your family, friends, work or life outside of work Crucial DRAM products help make computing more reliable, faster, and more effortless. With upgrades for nearly every PC and Mac system out there, plus flash products and Solid State Drives, you can be sure that if it's important to you, it's safe with us. Designed to help your laptop run faster and smoother, a Crucial memory upgrade is one of fastest, most affordable, and easiest ways to improve your system' performance. Crucial memory empowers your laptop to achieve faster application loading times, faster system responsiveness, and increased ability to multitask and handle data intensive programs. What does this mean? Spend less time staring at loading screens and more time getting stuff done. Crucial laptop modules are rigorously tested at both the component and module level to ensure that your memory meets our stringent compatibility and performance standards. Every module Crucial manufactures is tested for complete functionality before it leaves our doors. At a fraction of the price of your laptop, an investment in Crucial memory helps your system get up to speed. Crucial quality you can depend on. Crucial is a trusted name when it comes to DRAM, and that' no coincidence. As a brand of Micron, one of the largest manufacturers of DRAM in the world, Crucial works with our engineers to design, refine, test, manufacture, and support our extensive line of memory modules. To ensure that you get a reliable memory upgrade, Crucial tests every module at the component and module level to make certain that it meets our exacting specifications. If it doesn't meet or exceed the performance levels that Crucial advertises, then it doesn't leave our doors. With a product portfolio that includes thousands of upgrades for more than 50,000 systems, Crucial has one specifically designed for you.